Hurricane Michael is now the 3rd strongest storm to hit the Atlantic Coast, following Hurricane Camille in 1969. It is also the first Category 4 storm to ever hit the Florida Panhandle, and officials are saying it’s the most devastating storm that Florida has ever seen. 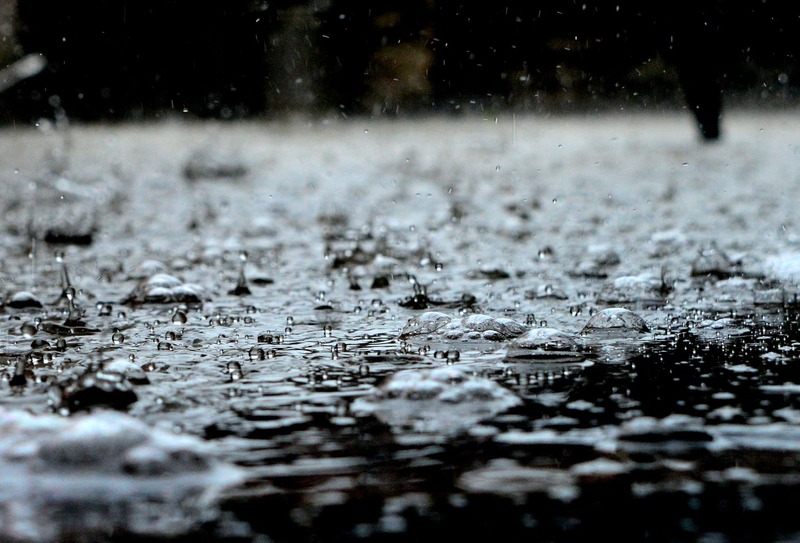 As a leading provider for shower trailers, we have constantly been on stand-by waiting to service those who are in the field helping communities affected by the storm. We have partnered with businesses who’s storefronts have been destroyed, volunteer groups who are housing those who have been displaced, and organizations helping with cleanup, search and rescue, and more. At this time, over 50 deaths have been tallied and over $8 billion in damages have added up. Families have lost their homes and businesses have been destroyed. Our hearts go out to those affected, and we also wait to do whatever we can to aid in disaster relief. Over the years, we have seen a series of natural disasters of all kinds affect the lives of millions of people. Fromm Typhoons to volcanoes, mudslides to hurricanes, nature has a way of testing humanity. Despite these tests, we see communities rise again and again to help their neighbors get back on their feet. The list of needs grows long and fast when disaster hits. While many of the needs may seem obvious, like housing for those displaced, food, and fresh drinking water, many everyday needs may go unnoticed until the need is urgent. We have found this to be a common issue with restroom and shower trailers. Many of us take advantage of those small, daily amenities, like the ability to use restrooms and showers whenever we want to. We’ve realized the importance of working fast to ensure that those in need can still appreciate these small, everyday amenities. As volunteer groups and organizations get to work, we are right behind them, providing restroom and shower trailers. When Florida area organizations reached out shower trailers, we were quick to respond. We had a wide inventory of shower trailers for relief organizations to choose from. After we analyzed their need while also considering their budget restrictions, we were quick to suggest many shower trailer solutions. 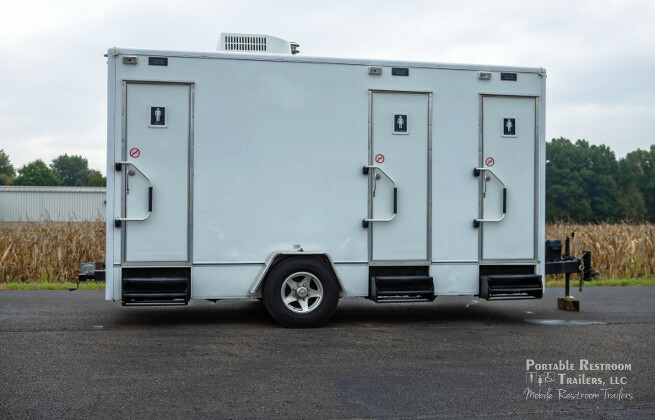 We provided them with was the 2012 Preowned 3 Station Portable Combo Restrooms / Shower Trailer. This compact restroom environment measures 16 feet and has a 450 gallon waste tank and 300 gallon freshwater tank, ideal for a moderate amount of daily use. The exterior shows off a clean design and guests are welcomed into the trailer on sturdy, aluminum steps with rails for safety. The walls and ceiling are insulated to ensure that the interior temperature stays comfortable despite outside weather. Additionally, this shower trailer comes with air conditioning and heat strips to further influence the inner temperature, allowing for restroom managers to alter the temp levels depending on needs. Each bathroom is equipped with water saving, flushable china toilets, a sink vanity with mirror, and shower stall. One unit is also equipped with a urinal. An earth-tone interior design scheme adds to the luxurious atmosphere that guests will experience during use. The nonslip floor ensures that all can use the shower safely, making this restroom and shower trailer rental a perfect combination of high end and durable. Abundant porch lighting ensures that access is easy no matter what time of day or night. To further add to the comfortable experience, we ensure that this portable shower and restroom trailer is equipped with a tankless on demand water heater. No need to worry about guests having no hot water: this unit ensures that a comfortable water temp is always available. This shower trailer is also equipped with a 4 season package, meaning it is upgraded and ready to survive in extreme weather conditions. Though all of our restroom trailers come with insulated walls and air conditioning and heat strips, the 4 season upgrade adds to these measures to keep the interior temperature comfortable. Overall, this is a shower trailer that is perfect for companies and organizations who are aiding those who were impacted by Hurricane Michael. So many communities were devastated by the storm, and many still struggle to get back on their feet today. We are so glad that our shower trailers can provide a little every day relief to those who need it. If you, your business, or your organization are aiding Hurricane Michael relief and have a need for restroom, laundry, or shower trailers, please reach out to us. We are experts in providing trailers in short amounts of time to ensure those who need help get it. We are ready and willing to help - let’s chat about your needs today.